Matthew Henderson concentrates his practice in the representation of attorneys in all aspects of professional liability and ethics including the defense of legal malpractice and breach of fiduciary duty actions, providing risk management and ethics advice, defending lawyer disciplinary proceedings, and litigating attorney fee disputes. Mr. Henderson's practice also includes representing employers in litigated matters, including the defense of discrimination and wage withholding claims. He regularly represents real estate professionals, accountants, and technology companies in negligence cases. He likewise has extensive experience in consumer class action cases, including actions brought under the Fair Debt Collection Practices Act. Mr. Henderson regularly speaks and writes on attorney malpractice, legal ethics, attorney discipline, and risk management. He serves on the Chicago Bar Association Committee on Attorney Malpractice and also on the Professional Responsibility Committee. Mr. Henderson is also a member of the Illinois State Bar Association. Mr. Henderson was an author of the American Bar Association's Amicus Curiae Brief filed in the United States Supreme Court case, Williams-Yulee v. the Florida Bar,135 S.Ct. 1656 (2015). The brief, which argued the ABA Model Rule prohibiting judicial candidates from personally soliciting campaign contributions does not violate the First Amendment, was cited twice in the decision. He was featured in the national and local news coverage of the murder of the family of The Honorable Joan H. Lefkow, including, "World News Tonight" with Peter Jennings; ABC 7 News, Chicago; CBS 2 News, Chicago; the New York Times and the Chicago Sun Times. Mr. Henderson appeared on NBC Channel 5 news and was quoted in the Chicago Tribune and Chicago Sun Times regarding his representation of Trinity Services, Inc. in a lawsuit filed by the parents of a patient seeking the entry of an injunction requiring Trinity to administer electric shocks to prevent the patient from injuring himself and others. 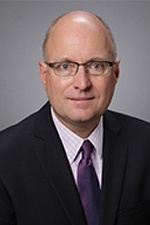 He joined Hinshaw & Culbertson LLP in March 1998. Casablanca Lofts, LLC v. Canmann & Chaiken, 2018 IL App (1st) 172048-U. First District affirmed summary judgment in favor of attorney who drafted condominium declaration for South Loop development project. The appellate court found that the majority of claims brought by real estate developer were barred by the six-year statute of repose measured from the date that the declaration was signed and recorded even though the lawyer continued to represent the developer in the sale of individual units for several years thereafter. Obtained dismissal of two companion cases in the Northern District of Illinois alleging violations of plaintiffs’ civil rights, due process, equal protection, and intentional infliction of emotional distress against attorneys and law firm who represented school district in an investigation of academic dishonesty arising from alleged cheating on geography bee competition. Johnson v. Stojan Law Office, P.C., 2018 IL App (3d) 170003. Third District affirmed entry of summary judgment in favor of attorney in legal malpractice action brought by the son of his deceased client. The court ruled that the lawyer owed the plaintiff no duty as an incidental beneficiary or co-trustee and found that the trial court properly denied plaintiff’s request to amend to add a claim for financial exploitation of an elderly person on the basis that it was outside the two-year statute of limitations for actions against attorneys. Successfully represented high-profile personal injury law firm in legal malpractice action in Circuit Court of Cook County brought by adult children of deceased client seeking to recover $7 million in annuities as part of the structured settlement of an underlying medical malpractice case. Obtained dismissal of action on the initial motion on the basis that is was not filed within the statute of limitations for alleged estate planning malpractice. Obtained summary judgment in legal malpractice action for lawyer’s alleged failure to timely file a claim against a financial institution to recover $500,000 that was misdeposited by corporate controller. The Cook County Circuit Court ruled that plaintiff could not satisfy the actual damage requirement because the funds were ultimately accounted for albeit in different corporate accounts. St. Alexius Med. Ctr. v. Roofers' Unions Welfare Trust Fund, 2017 U.S. Dist. LEXIS 132823 (N.D. Ill.). Successfully represented health care provider in opposing attorney fee petition under fee-shifting provision of ERISA. Defendant trust fund was awarded $0 in attorney’s fees even though summary judgment was previously entered in its favor. King Koil Licensing Co. v. Harris, 2017 IL App (1st) 161019, 2017 Ill. App. LEXIS 458 (Ill. App. Ct. 1st Dist. July 11, 2017). First District upheld a "not guilty" jury verdict against a lawyer and law firm following two week jury trial where plaintiff asked for $6.5 million in damages. The appellate court found that there was sufficient evidence to support the jury's finding that the attorney was not negligent in his drafting of a mattress licencing agreement and that lawyer’s offer to perform free legal services to rectify the claimed mistake constituted a Rule 408 settlement communication. The First District Appellate Court affirmed dismissal of a shareholder derivative claim for legal malpractice against the attorney for a condominium association based upon expiration of the statute of limitations. The court ruled that the action accrued when the association levied a special assessment and plaintiff wrote a letter to the board suggesting that the lawyer had committed malpractice. Obtained summary judgment in real estate developer's claim for legal malpractice against attorney who drafted condominium declaration in the Circuit Court of Cook County. The trial judge ruled that the claim was barred by the six-year statute of repose measured from the date that the declaration was signed and recorded notwithstanding the fact that the lawyer continued to represent the developer in the sale of individual units for several years. Circuit Court of Rock Island County entered summary judgment in favor of estate planning attorney who allegedly failed to prevent a trust beneficiary's sister from converting trust assets on the basis that he did not owe a duty of care to the beneficiary. Bianchi v. McQueen, 2016 IL App (2d) 150646. Second District Appellate Court affirmed in part and reversed in part dismissal of McHenry County State’s Attorney’s claims against special prosecutor finding that claims were stated for malicious prosecution and intentional infliction of emotional distress. The Seventh Circuit Court of Appeals affirmed dismissal of legal malpractice action against class action counsel on the basis that plaintiff’s employment classification claims remained viable at the time that client discharged his attorneys and because the fraud claim was not pled with sufficient particularity and was contradicted by exhibits attached to the complaint. In a nonprecedential disposition, the Seventh Circuit Court of Appeals affirmed dismissal of legal malpractice and civil RICO claims against a lawyer for supposedly conspiring with the City of Chicago, other law firms and attorneys, and a Cook County judge on the basis that the allegations were legally frivolous and for lack of diversity jurisdiction. Martinez v. City of Chicago, 823 F.3d 1050 (7th Cir. 2016). Seventh Circuit reversed its own precedent and ruled that an attorney had standing to appeal a District's Court order sanctioning her even though the sanction award had been paid by her employer. Bianchi v. McQueen, 818 F.3d 309 (7th Cir. 2016). U.S. Court of Appeals affirmed dismissal of McHenry County State's Attorney’s §1983 claims against a special prosecutor on basis of absolute immunity and because alleged misconduct did not violate due process. Obtained "not guilty" jury verdict in legal malpractice action at the conclusion of two-week trial in the Circuit Court of Cook County. A mattress licensor alleged that lawyer and 25 attorney law firm were negligent in drafting 10 year license agreement which excluded royalties and marketing payments on licensee's private label sales and sought $6.5 million in damages. Circuit Court of Cook County dismissed claims of corporations owned and controlled by the husband in a divorce action against the wife's attorney for allegedly violating the Illinois Trade Secrets Act by disclosing confidential and proprietary information in the dissolution of marriage action pending in a different county. Nelson v. Cascino Vaughan Law Offices, Ltd., 2015 IL App (1st) 141710. First District affirmed dismissal of legal malpractice action against attorneys for failing to conduct sufficient discovery in underlying asbestos wrongful death action on the basis that the claim was not filed within the applicable statute of limitations and statute of repose. In re Charles Taylor, 793 F.3d 814 (7th Cir. 2015). Seventh Circuit affirmed reversal of $165,000 sanction award entered by U.S. Bankruptcy Court against two Washington state attorneys for allegedly violating the automatic stay and discharge injunction by seeking clarification of their client's standing from a probate court in Washington. In re Charles Taylor, 526 B.R. 719 (N.D.Ill. 2014). District Court reversed $165,000 sanction award entered by U.S. Bankruptcy Court against two Washington state attorneys for allegedly violating the automatic stay and discharge injunction by seeking clarification of their client's standing from a probate court in Washington. Harris v. Vitale, 2014 IL App (1st) 123514. First District affirmed dismissal of legal malpractice action arising from attorney's notarization of a signature on an annuity form that his client allegedly used to convert money from his disabled mother. Obtained summary judgment in legal malpractice action in the Circuit Court of DuPage County in legal malpractice action. Conservative youth foundation sued attorney to recover $2 million failed charitable bequest but failed to come forward with evidence that the settler lacked capacity to eliminate gift to organization prior to her death. Bianchi v. McQueen, 917 F.Supp.2d 822 (N.D.Ill. 2013). Obtained dismissal of § 1983 action by McHenry County State's Attorney against special prosecutor alleging false arrest and violations of due process in the course of prosecution for alleged political corruption. Hernandez v. Pritikin, 2012 IL 113054, 981 N.E.2d 981 (Ill. 2012). Illinois Supreme reversed summary judgment in favor of Worker's Compensation attorneys in re-filed legal malpractice action on the basis of res judicata and the prohibition against claim-splitting because trial court's previous rulings on motions to dismiss were not adjudications on the merits. Hernandez v. Bernstein, 2011 IL App (1st) 102646, 956 N.E.2d 558. First District affirmed summary judgment in favor of Worker's Compensation attorneys in re-filed legal malpractice action on the basis of res judicata and the prohibition against claim-splitting.